Anyway, just a quick post. Death is a Gift is now available on B&N, Kobo, and the various iBookstores, so I’ll leave the sale price as is until next weekend. (Although, it could take a week for the price to actually change everywhere). Sent Traitor off to my editor which ends what seemed like a never-ending deadline of deadlines this year. Never again will I arrange such a long schedule of non-stop editing. That way lies madness, and my brain is tired. In good news: our car is back and fixed and running and working and not breaking down in the middle of motorways. And it wasn’t as expensive as first predicted which is just… thank you, good karma, I’ve missed you. In great news: April 2013, the Farrell Family’s Unluckiest Month Ever is almost over. (That does not count as jinxing myself, universe). In better news: Game. Of. Thrones. (Tomorrow). In best news: New baby in the family! (Was going to make a kidnapping joke, but if people keep taking me so seriously, I’m going to get myself arrested, and the weird internet history on my laptop probably won’t help. At all). Okay, so it was a quick post for me. Have a great week! 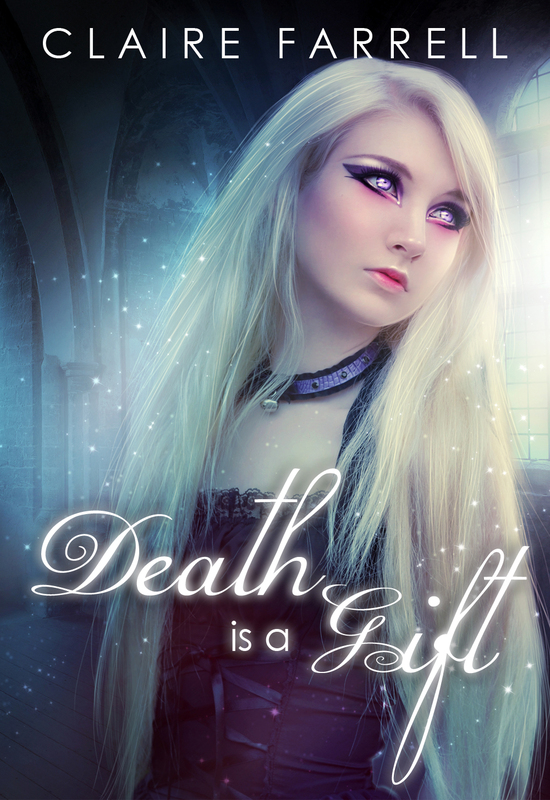 Death is a Gift is now available on Smashwords, and Amazon (US, UK, CA, etc.). Other retailers will likely take up to two weeks to update, but if you don’t want to wait, Smashwords provides all file formats. The price is 99c for a short time. (I’ll wait until the book reaches all retailers before upping the price). Verity is now free on the iBookstore, Amazon, Kobo, and Smashwords and should be free on all other retailers soon. I think that’s all – I’m half-asleep. Have a great weekend; I’ll probably be in hermit mode for another week at least. Death is a Gift should be available on Kobo, Smashwords, & Amazon next Friday/Saturday. Elsewhere will probably take another two weeks or so. It’ll be at a sale price of 99c for a few weeks (I’ll wait until it’s available on B&N and the iBookstore before raising the price), but then it’ll be priced at $3.99. I know it’s annoying when you’re waiting on the next in a series and a writer seems to be doing anything but working on it, (hey there, George!) but sometimes you need to refresh your mind in between books, and I thought DIAG would be closer to a novella. I was very wrong. (But I enjoyed writing it, so I can’t complain. I hated editing it though, so complaining about that is still allowed, obviously. 😉 ). Clíona Desmond wants a normal life, but when your family motto is “Death is a Gift”, what you want isn’t always possible. The death of her banshee aunt forces Clíona into a world she barely recognises, a world she’s dreaded since the night her aunt came to take her father away. Her mother hates banshees, but the only possibility of escape is remote and involves a love more powerful than a banshee’s calling. Except Clíona’s already in love with somebody who could never love her back, somebody who has a good reason to hate a banshee, and her responsibilities ring loud and clear, no matter how hard her loved ones try to pull her back to her old life. Going against the banshee code can have tragic consequences, but it’s hard for an eighteen-year-old to say goodbye to all of her hopes and dreams. The biggest lesson left to learn is which is more powerful – love or death? And here’s the cover if you haven’t seen it. Artist is Renu Sharma/DarkRayne, model is MariaAmanda. Right. Back to Traitor. Editor’s expecting it in two(!) weeks. Have a great week all. Taste is now up on B&N and the iBookstore for those wondering. Since I last posted, I turned 30. I think my eldest was a little disappointed that I don’t actually need a zimmerframe. The kids are on their holidays, so he decided he needed a break from his siblings and went to stay with family. Before he came back, I went to Dublin to stay for a long weekend so I didn’t see him for a whole week. This is what I did see. All weekend long. Every time I opened my eyes in the middle of the night in particular. 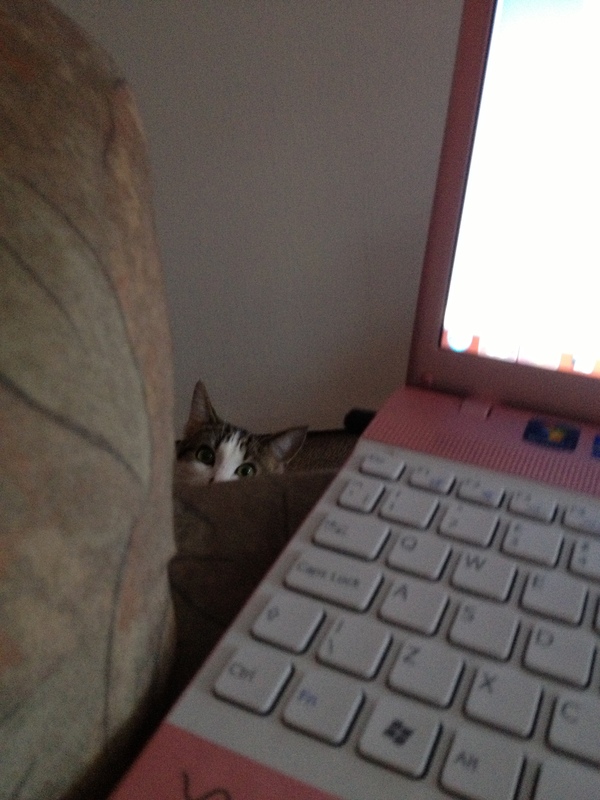 Which is unimaginably creepy. What does your face taste like? My partner and all of the kids drove to pick me up, but the car broke down on the motorway, leaving everyone stranded. The transport that the insurance company sent out would have brought himself and the kids anywhere, but if they went home, they would have been stuck without a car. If they didn’t, the dogs would have been alone too long. They ended up in Kildare, where I got a lift to, and we got a lend of a car so that some of us could go home. (We need to make friends with people who own seven-seaters). For a while there, it seemed like the family would never be together again. 🙂 Stupid car is going to cost more in repairs this year than we paid for it last year. 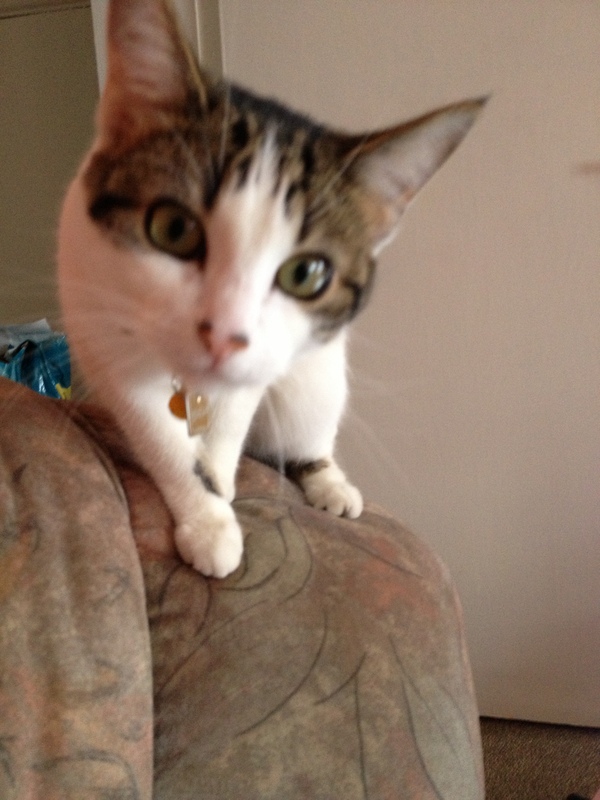 Her – (jumping up and down on the bed) Dad! I’m Spiderman! Dad – Who are you? Dad – Well, then I’m the blue ranger. Her – (stops jumping) You’re the blue ranger? (Shouts) Mom! Are you the bad guy? Her – Mom, I love you so much. Love you, Mom. Love you. (Petting my face). 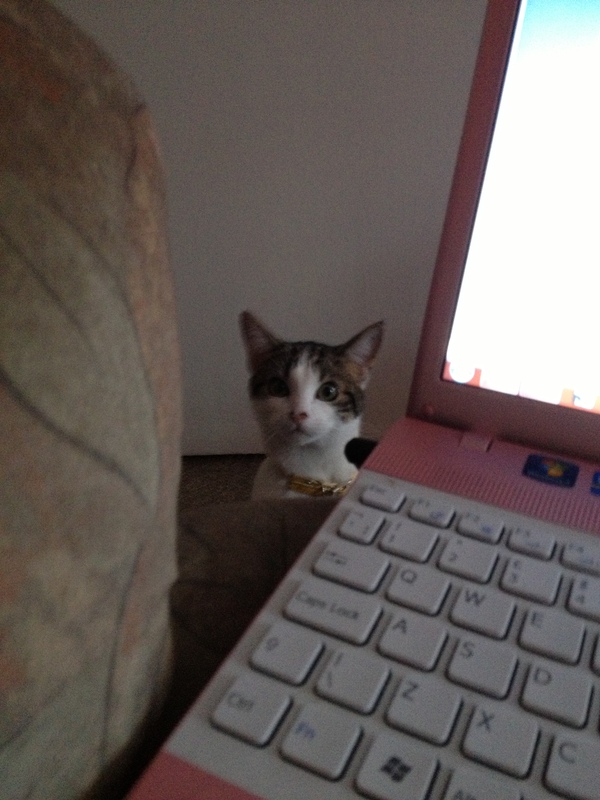 Aw, you’re so cute. Me – pretending to be asleep and trying not to laugh. Her – Mom. Mom. Mom. Mom! That’s it. I’m not playing with you any more. (Stomps around the room in a huff). Me – It’s bedtime. Go to sleep. Her – No! I’m the good guy! How am I supposed to argue with this? Twins – (Ignoring everyone while they have a weird martial arts/slow motion themed dance-off). 8-yr-old – (Points and laughs at 6-yr-old who recently lost her two front teeth). Ha, you look like a vampire now. 6-yr-old – Yeah, well, if I’m a vampire, I’ll bite your neck off. 8-yr-old – And if you’re a vampire, I’ll just become a slayer and defeat you. 2-yr-old – (Crawls over to 6-yr-old wearing just a nappy and wellies and crying Mama, Mama). 6-yr-old – (Cuddles 2-yr-old) Aw, it’s okay my little vampire baby. I won’t let him defeat me. 8-yr-old – (Practically wees himself laughing). 6-yr-old – (Frowning). Don’t laugh at me! Get him, vampire baby! 2-yr-old – (Growls and crawls over to 8-yr-old) Pika-Pika-CHU! 8-yr-old – (Laughs so much, he gets his arse kicked by a baby vampire pokemon). Twins – (Become ninja slayers and destroy everyone until another song they like comes on). 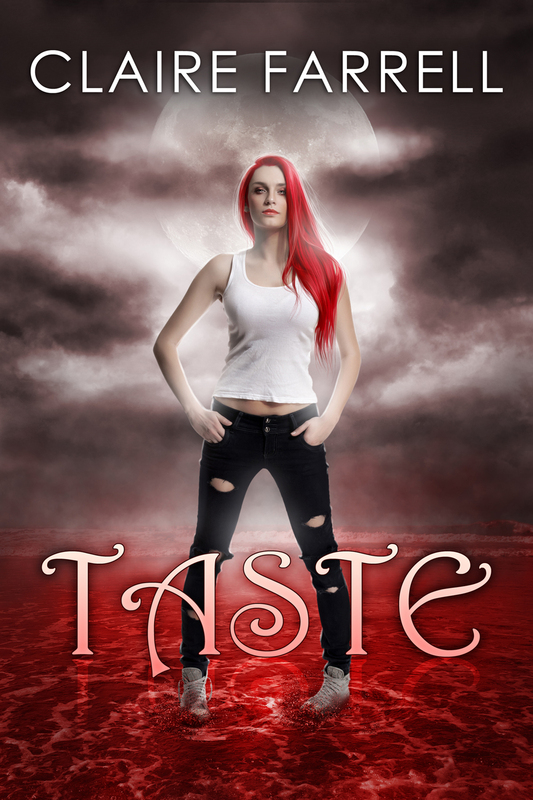 Taste is available to purchase on Kobo, Smashwords, Amazon US, UK, CA, etc. Other retailers take approximately two weeks longer. The final book in the series is due for release around June 2013. Before I forget, a couple of people have told me they emailed me recently, but I didn’t receive the email – don’t know what’s going on, but in case it isn’t coincidence, if I haven’t replied to something, please contact me again. I’ve basically been surrounded by children and forced to watch the same two films over and over again. And listen to the Pitch Perfect soundtrack over and over and over and over again. (My Last.fm profile must be really warped by now). And paint a million rainbow nails. Whenever any of the younger four walk into the room, I can guarantee they will ask for one of three things: Songs! (They’re as obsessive as I am about playing the same songs on repeat – not sure how/why this set became so popular in my house, but I’m not really complaining). Bruce Lee! (I know the twins are feeling okay when they’re stripping off their shirts and arguing over who’s going to be the baddie). Nail varnish! (Pretty sure the fact I spent Monday morning chasing children around with nail polish remover says something bad about my parenting skills). It snowed yesterday, and one of the twins whipped out the Argos catalogue to make a list of presents he wants. Somebody tell Mother Nature that it’s March. (In Feb, the other twin informed he he had changed his mind about his Christmas presents, so I should call Santy for him and organise a swap for new stuff). I still haven’t had the heart to go through and re-download new books onto the replacement Kindle, so I ended up rereading A Song of Ice and Fire. Am I the only one who rereads and still hopes for a different outcome? 😉 Frost Burned is (obviously) on my list of things to read next, but I’m holding off until I finish with Ava. Any non-urban fantasy recommendations? Because I’m usually something other than random? Has everyone seen “new” MySpace? I was curious enough to sign up, but right now, I can’t see myself using it too much. It’s a good idea, but I find new music in other ways. Sorry this post is so disgustingly linky, but MySpace reminded me of Pledgemusic (because I checked out Ours and realised I already have all their songs, so why would I listen on MySpace?) It’s like Kickstarter, and one of my favourite bands has a pledge thingy going. I listen to music by Ours and Jimmy Gnecco while working on Every. Single. Book. (and right now this minute) so I was a little squeaky fangurl when I saw the pledge for a new album. I don’t know why Ours isn’t already massively huge! Anyway, if you want to support one of my favourite muses, check out the Ours project on Pledgemusic. I was thinking of creating a page for Cursed, somewhere people could ask spoilery questions about the series. If anyone is interested, let me know. I’ll have the omnibus up maybe next week. Paperbacks will take longer because of post & proof copies and all that jazz. Also! Kai the Hitch-hiking Hero! Probably NSFW!